I still remember, as a kid, tying a yellow ribbon around a tree in front of my house during the 444 days that Iran held 52 Americans hostage. Iran is not a place we should be doing business with. This is not just bad with Iran, this is bad with ISIS. It is tied together, and, once and for all, we need a leader who’s gonna stand up and do something about it. I’m a Reagan conservative. Reagan did negotiate with the Soviets. But you have to negotiate from a position of strength, and I think President Obama gave away too much, too early. And I said, “well, how are we gonna get them to comply?” I would have never released the sanctions before there was consistent evidence of compliance. Ronald Reagan said “trust, but verify.” President Obama is “trust, but vilify.” He trusts our enemies and vilifies everyone who disagrees with him. And the reason we disagree with him has nothing to do with party. It has to do with the incredibly dangerous place that this world is gonna be as a result of a deal in which we got nothing. We didn’t even get four hostages out. We got nothing, and Iran gets everything they want. We said we would have anywhere, anytime negotiations and inspections, we gave that up. We said that we would make sure that they didn’t have any nuclear capacity, we gave that up. When someone points a gun at your head and loads it, by God, you ought to take them seriously, and we need to take that seriously. Alicia Keys confirmed that she will perform in Tel Aviv on July 4 as scheduled, despite public pressure to boycott Israel from Alice Walker (who refused to authorize a translation of “The Color Purple” into Hebrew) and Roger Waters. “I look forward to my first visit to Israel. Music is a universal language that is meant to unify audiences in peace and love, and that is the spirit of our show,” she said. Walker called Israel an “apartheid country,” said that the Israeli system is “cruel, unjust, and unbelievably evil,” and called Israel the cause of “much of the affliction in our suffering world.” Walker refused to authorize a new Hebrew translation of “The Color Purple.” Waters, formerly of Pink Floyd, also urged Keys to cancel. Waters previously convinced Stevie Wonder to cancel an appearance at a Friends of the IDF event in Los Angeles. More on the anti-Israel BDS movement after the jump. For an excellent refutation of the canard that Israel practices apartheid, read this op-ed from Richard Goldstone, a former justice of the South African Constitutional Court. The Boycott, Divestment, and Sanctions (BDS) movement against Israel is condemned across the pro-Israel political spectrum, even by those who strongly believe that Israel should find a way to extricate itself from the West Bank. For some, the BDS movement has become a convenient mantle for thinly disguised anti-Semitism” and “the BDS movement fails to explicitly to recognize Israel’s right to exist and it ignores or rejects Israel’s role as a national home for the Jewish people. In addition, the promotion by some in the BDS movement of the return to Israel of Palestinian refugees from 1948 and their families indicates support for an outcome incompatible with our vision of Israel and incompatible with a two-state solution to the conflict. My view is that if an artist or scientist attempts to economically harm or delegitimize Israel, we should not economically support that person. As much as I used to enjoy Elvis Costello’s music, I can’t listen to him anymore. I have a long list of books to read. Why read Alice Walker when there is so much other good literature? We certainly should not reject the scientific ideas of Stephen Hawking, but why buy his books? (If you must read him or Walker, use the library). I’m not suggesting that we deny ourselves art based on the anti-Semitism of its creators. If we did, we would deprive ourselves of a large portion of Western culture. I also suspect that if we knew what was in the minds of some of our favorite artists, we might not be too happy. Rather, I am suggesting that we single out the subset of artists who have chosen to single out Israel for boycott. If they won’t play for Israelis, we shouldn’t pay money for them to play to us. So you won’t find Elvis Costello, Santana, or Stevie Wonder on my playlist, and you certainly won’t see me at their concerts. Perhaps most important, we should visit Israel or buy Israeli goods — no matter where we are on the political spectrum. 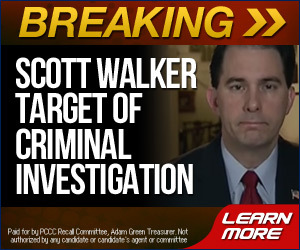 Walker has clearly stated that the fund will not be used to defend any of his “agents”, the six aids now under indictment (in addition to thirteen granted immunity from prosecution), leaving one to conclude that there is an obvious conflict between the law coupled with his actions and statements regarding the fund and his denials regarding the state of the investigation. I like to think of myself as a pretty worldly guy. I’ve been to the rodeo. I’ve eaten the Easter Peeps. I’ve paid full price for a muffler. But every once in a while, something so outrageous, so off-the-charts awful happens (like Celine Dion making a new album) that even I am shocked. Such a thing happened last Tuesday in Harrisburg when our new Governor, Tom Corbett gave his budget address. I entered the Hall of the House for the joint session all prepared. I had my ankle warmers and flask of hot cocoa, because one can get cold in the capitol. The Senator sitting next to me had his flask of Jaegermeister, because one can get sober in the capitol. I was wearing my “Tony Luke’s Makes the Best Sausage” T-Shirt (I get a small fee) and my giant foam hand with extended index finger in case Corbett mentioned Temple University and my jar of mace, in case… well… just in case. The governor’s speech started off promisingly enough in that he didn’t trip walking up the stairs. That is no small thing. In 1822 Governor Joseph Heister fell off of the dais during his budget address and hit his head. For the rest of his term he could not be persuaded that he wasn’t a large chicken, which led to some very restrictive, yet innovative agricultural legislation. While there was much in Mr. Corbett’s budget I disagreed with, that is for another day. After the address was over, I dragged my neighboring Senator (he finished his flask) back to his office and started lazily paging through the 1,124 page Policy Statement which accompanied the budget. In it, I found something truly shocking. Governor Corbett included the following paragraph which set forth a new policy on how we regulate. It turns out that the Governor wants a “friction free” relationship between regulators and the industries they regulate. This is troubling. “Friction-free” relationships are very rare in the best of circumstances. I haven’t had a friction free relationship since my imaginary friend Dodo, when I was a kid. But by the time I turned 40, even he came to loath me. Historically, friction doesn’t arise because regulators like Woody Allen movies and Industrialists don’t. There is only one reason for “friction,” which is that industry doesn’t like to be told they can’t dump poisons in lakes or mercury in the air or have to give their workers bathroom breaks. So in other words, a “friction-free” environment sounds frightfully like a regulation free environment. Things then go from bad to worse. Under this new policy directive, those who head our regulatory agencies (the Secretaries of Department of Environmental Protection, Labor and Industry, etc.) will lose their power to make regulatory decisions. Ok, lets stop there. What will our actual regulators now do since they are losing their ability to regulate. One word… Yahtzee!! Keep in mind, that this strips the departments of their control over when to issue permits, and “any…other action.” Presumably going to the rest room now requires a call to DCED. Of course, this only applies if “creation of jobs may be impacted.” I suppose this could have been broader. It could apply “only if air is being breathed somewhere” or “only if Lindsey Lohan is getting arrested.” But this is pretty darn broad. Any regulation could theoretically impact the creation of jobs. For example if a regulation says you have to clean up a stream you polluted, that will cost money that could have gone to hire someone to dump more pollution into that stream. Or if a regulation says you can’t beat employees with rubber tubing, the guy who beats folks is suddenly on the street. Finally its bad enough that there is a guy whose job is to stop health, safety, worker and consumer regulations. But its even worse when you realize who that guy is. The head of DCED is a man named C. Alan Walker. Let me start off by saying that I do not know Mr. Walker. I have never met him. He may be a perfectly delightful man. Maybe he buys flowers for his wife on her birthday. Maybe he buys flowers for my wife on her birthday. God knows someone should. That said, his public record does not instill great confidence that he will be a strict guardian of our safety. First, he has given $184,000 to Governor Corbett over the years. That sounds like a Kool-Aid drinker to me. I don’t have many $184,000 donors (although I am open to meeting them!). But if I did, I doubt I’d have a very arms-length relationship with them. He is also the head of one coal company and has an ownership interest in an unknown number of other coal companies. That is also strange. At any given time, I know exactly how many coal companies I own. He also has a history of polluting and refusing to clean up until a court makes him. One Senator said to me that he’s not surprised that the Corbett Administration is doing this. He’s just surprised that they are saying it out loud. (No, this was not the Senator with the empty flask). But I disagree. Nothing like this has ever been done in the United States before, ever. This looks to be a hyper-aggressive move to gut our health and safety laws for the benefit of wealthy corporations. I’m starting to miss Governor Heister. A state judge in Wisconsin has just issued a temporary restraining order blocking Gov. Scott Walker’s (R-WI) newly-passed law curtailing public employee unions, on the grounds that the GOP-controlled legislature appeared to have violated state public notice requirements when quickly passing the bill last week.